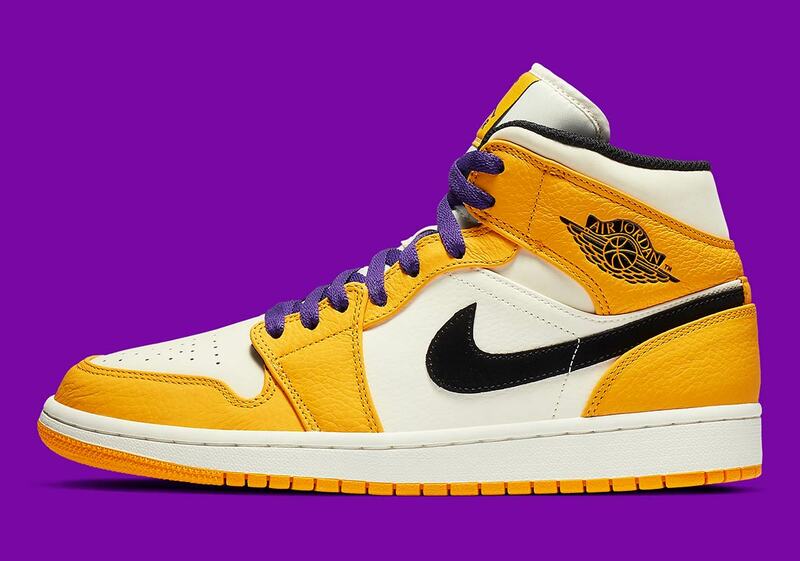 2019 is a very interesting year to be a Los Angeles Lakers fan. After an enthralling offseason that saw the Lakers add the King himself, LeBron James, expectations for the season were understandably high. However, the Lakers have weathered a trying season that sees them sitting just outside of playoff position. 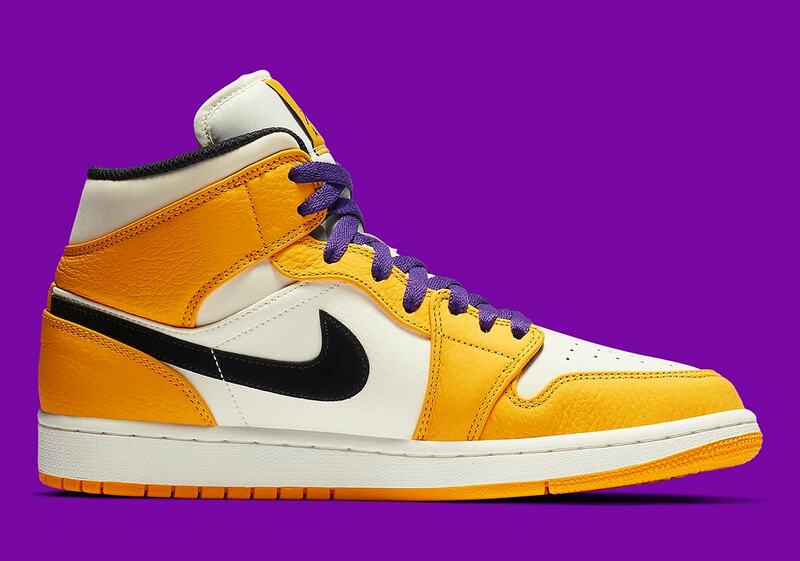 Since it’s such an uncertain time in Laker Land, it’s understandable that Lake Show fans would be looking for some purple-and-gold flavored stability. 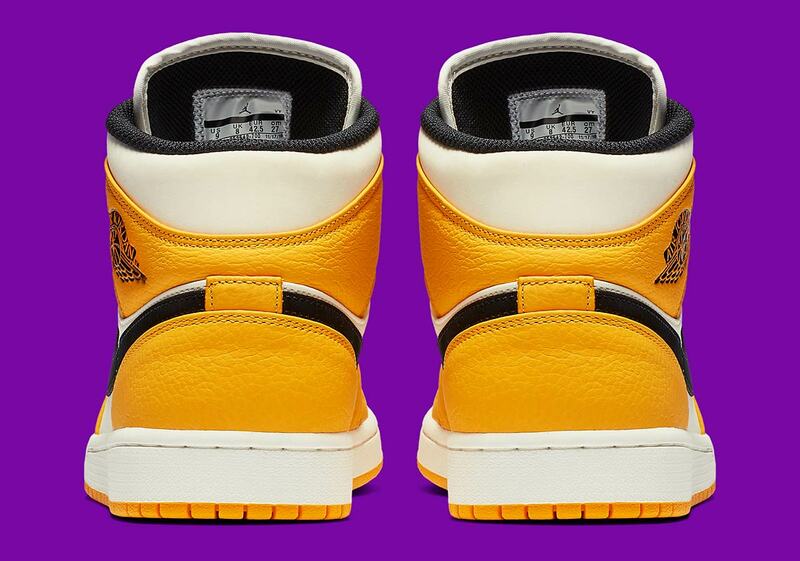 Thankfully, Jordan Brand is providing just that with a new Lakers-colored Air Jordan 1 Mid. 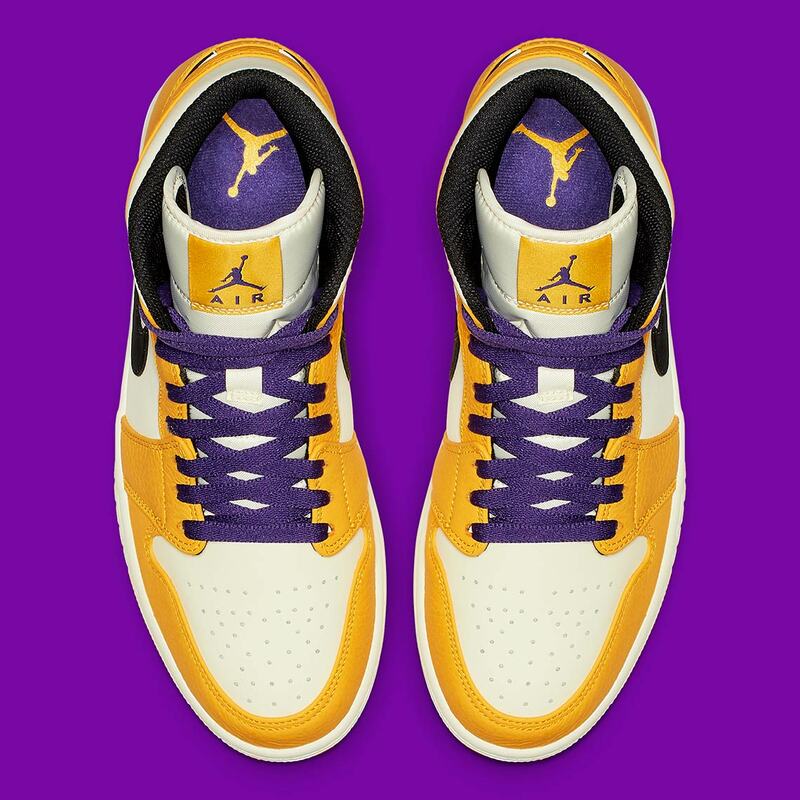 Calling upon a color scheme that’s very similar to the Lakers’ white jerseys, the shoe uses white leather for the base, while a monarchial gold leather appears on the overlays. 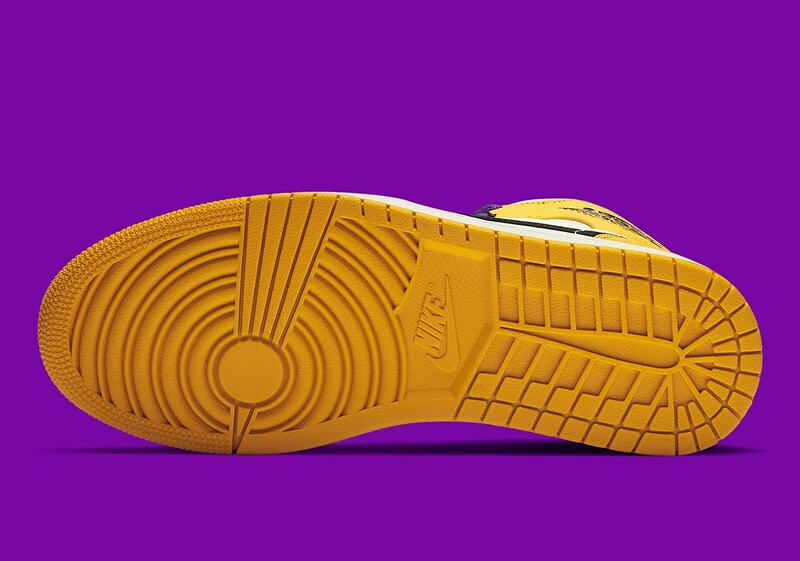 Black trim appears on the Swoosh, ball-and-wings logo, and tongue, and regal purple accents are present on the laces/tongue patch to complete the look. 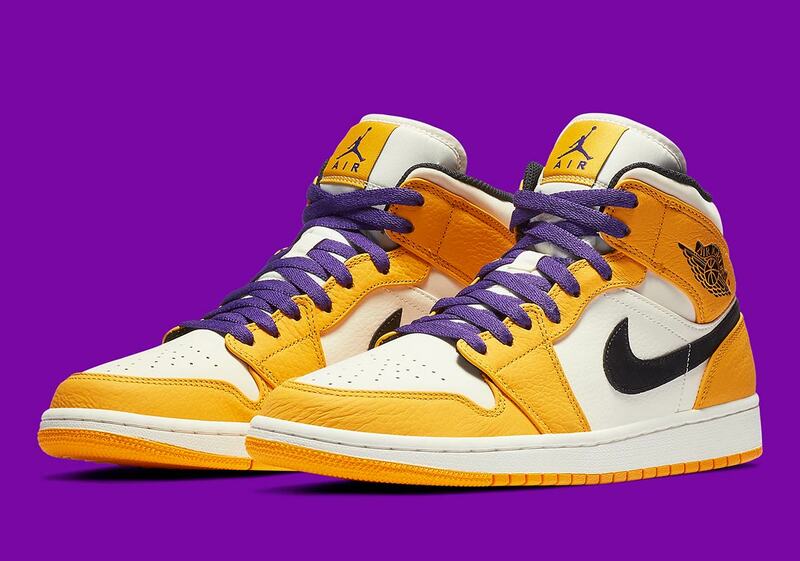 Check out a full set of official images below, and expect these Lakers-loving Air Jordan 1 Mids to release on Nike.com in the coming weeks for $120 USD.